NEWPORT BEACH – The Rowing Club of the Newport Beach Sea Base will start a new tradition this holiday season as they transform their rowing boat into a reindeer sleigh on water, powered by nine athletes representing each of Santa’s reindeer, as they glide around the harbor with Santa in tow for the 106th Newport Beach Christmas Boat Parade. The club will participate in the final two nights of the parade, Saturday, Dec. 20 and Sunday, Dec. 21. Newport Beach locals Michelle and Aaron Green teamed up with the Newport Sea Base to bring a community driven rowing program to the organization this past August. 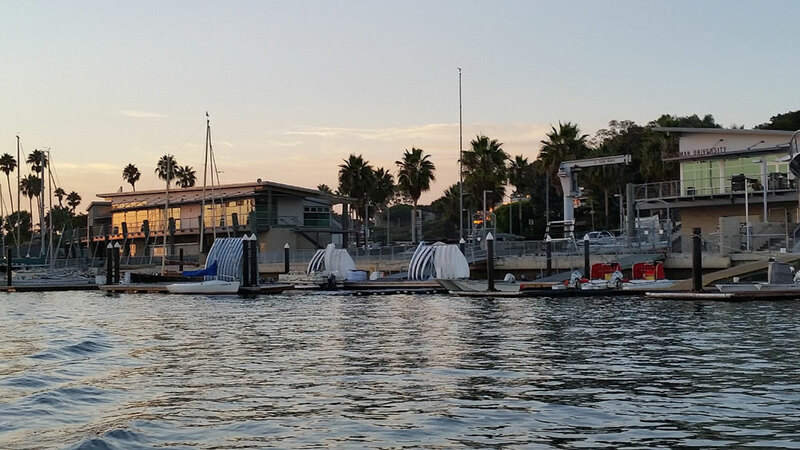 The Newport Sea Base Rowing program has many programs in place, which includes programs for junior high, a competitive high school team, an adult learn to row program that meets on the weekends, ERG Classes during the week and many more. The Newport Beach Christmas Boat Parade and Ring of Lights home decorating competition runs for five consecutive nights, beginning Wednesday, Dec.17 and ending Sunday, Dec. 21. Each night the parade starts at Bay Island at 6:30 p.m. and finishes at the same site at approximately 9 p.m., completing its 14.7-mile route around Newport Harbor. For more information about the 106th Annual Newport Beach Christmas Boat Parade, visit christmasboatparade.com. For more information on the Newport Sea Base Rowing, go to seabaserowing.org or contact Michelle Green at (949) 396-1302.